IF YOU CAN'T WIN BY REASON, GO FOR VOLUME! Hello! This webquest is created to carry out our Language Arts lesson. 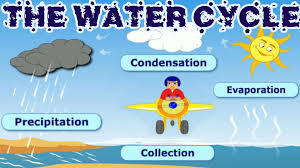 The topic will be, "Answering Questions at the Literal Level", and the water cycle will be used to help in enhancing the lesson.